To undertake flatfish sampling in St Andrews Bay, Outer Firth of Forth and the Forth estuary (Tancred) in support of the Clean Seas Environment Monitoring Programme (OSPAR and MSFD). To undertake sediment sampling in the Outer Firth of Forth and the Forth estuary in support of the Clean Seas Environment Monitoring Programme (OSPAR and MSFD. 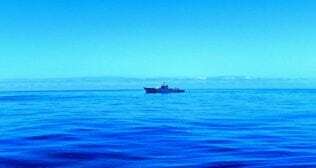 To undertake survey of sea-surface litter in surface waters of the Forth and Scottish east coast and record seabed litter collected by the trawls (MSFD D10). To undertake fish, shellfish and sediment sampling in support of the microplastics ROAME (ST014). Fishing and scientific gear will be loaded in Leith at the end of the previous survey, prior to Alba na Mara sailing on 29 November. After all drills have been completed, and in consultation with the master, the vessel will steam for the first allocated station. Flounder will be sampled in St Andrews Bay and in the Forth estuary (Tancred bank), dab will be sampled in the Outer Firth of Forth. 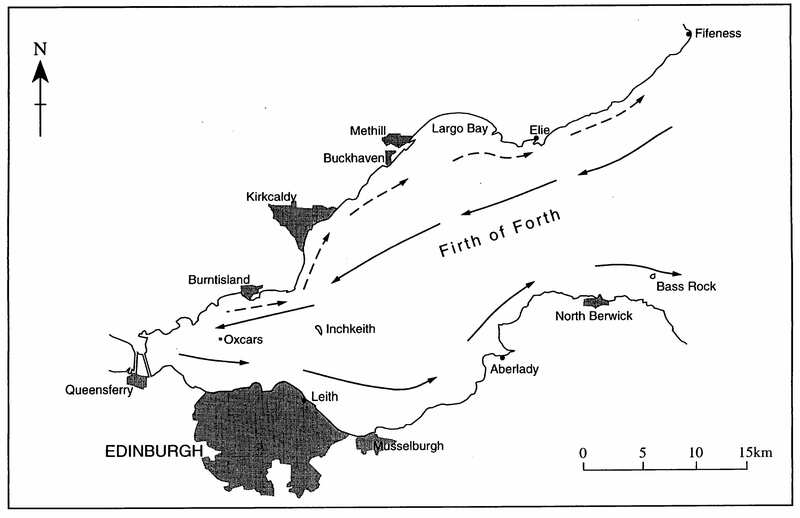 Five sediment stations will be sampled at each of the Outer Firth of Forth and the Forth estuary; at each station two grabs will be taken: one for contaminants and one for microplastics. The neuston trawl will be deployed in the Forth estuary, the Firth of Forth, and off the east coasts of Fife and East Lothian. This net is to be towed at five knots, or less, for 30-90 minutes in order to collect and sample microplastics floating on the sea surface. An additional sediment sample to be collected by Day grab from under the course of each catamaran tow for subsequent microplastics determinations. A variety of fish species will be adventitiously sampled from the trawls and frozen for work-up in the laboratory as part the microplastics ROAME (ST014). Records will be made of seabed litter caught by the trawls. 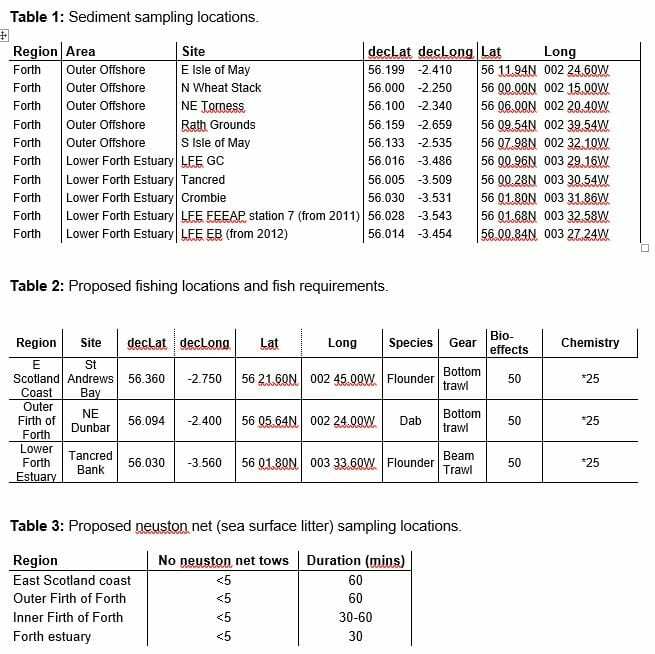 Tables 1, 2 and 3 list the sediment, fishing and sea surface litter survey sites, respectively. Liquid nitrogen and other chemicals (e.g. methanol, formalin) will be carried aboard for the preservation and storage of biological material.